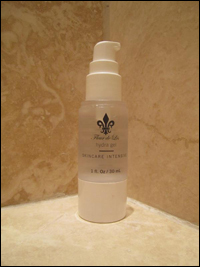 Glycolic cleanser - oil free cleanser that provides the skin with a gentle exfoliation, reduces inflammation, repairs and strengthens the skin. Glycolic moisture masque - A hydrating cream masque with glycolic acid that exfoliates and replenishes moisture to smooth fine lines and plump the skin. 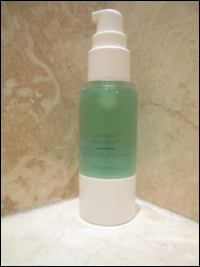 Glycolic facial tonic - known to reduce inflammation, refreshing, soothing and improves tone and texture. 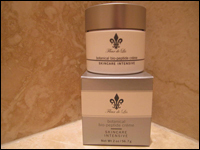 It exfoliates, brightens and revitalizes skin and helps speed production of collagen. 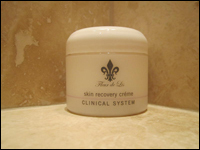 Skin Recovery crème - A lightweight hydrating cream that restores moisture to stressed skin. 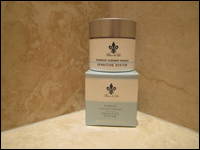 Helps normalize blotchy, irritated sensitive skin. 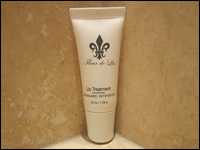 Lip Treatment - Indulge your lips! This plumping lip treatment moisturizes and enhances lips contours. Rosacalm - A specially formulated gel for very sensitive, rosacea-prone skin to help reduce the appearance of facial redness and calm reactive skin with daily use. Hydra Gel - A light oil free gel that moisturizes to smooth fine lines and plump, soothes, reduces inflammation, softens and conditions the skin. Lotus flower ginseng toner - The ideal toner for dry, dull skin uses lotus flower to soothe and nourish, along with the extract of ginseng to invigorate and condition. 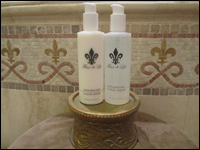 Hydra Essence toner - Hydrates irritated and sensitive skin made sensitive by environment or harsh chemicals. 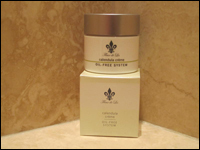 Ideal for extremely sensitive skin. Clarifying Astringent - This mildly, cooling astringent is energized with peppermint extact and menthol to help condition oily problem skin. 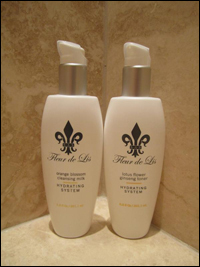 Orange Blossom cleansing milk - A mild moisturizing cleanser designed to gently wash away impurities while providing nutrients necessary to maintain soft beautiful skin. Beneficial for all skin types. Arnica Wash - A mild, non-abrasive, low foaming facial wash easily removes makeup and other residue, which can add to the skin's sensitivity. 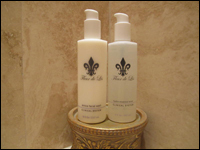 Deep purifying cleanser - This deep-cleansing formula washes away impurities, while the AHAs help exfoliate dead skin. 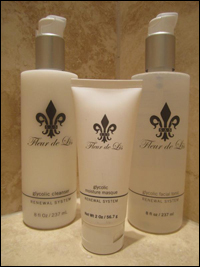 Proven to have a positive effect in fighting acne prone skin while soothing and moisturizing oily skin. Skin Perfecting Tinted Moisturizer SPF 20 - Sheer tinted coverage provides even, natural skin tone while hydrating the skin. The oil-free crème leaves a smooth, matte finish and spf 20 to protect against UV rays. 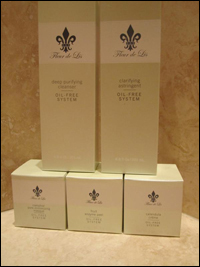 Paraben-Free and is suitable for most skin types. Daily Mineral Guard SPF 25 - Micronized titanium dioxide provides a broad-spectrum transparent barrier against UVA/UVB rays. 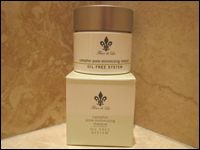 The unique phyto-complex improves the appearance of fine lines while minimizing the short-term effects of harmful UV rays. Non-greasy is suitable for all skin types. Azu-Zinc Soothing Masque - introduces moisture to dehydrated, sensitive or irritated skin with this calming soothing masque. It helps reduce the appearance of redness and other signs of irritation while bringing sensitive skin into a healthy balance. Bisabolol Nutrient Masque - A skin nourishing masque designed to gently absorb deeply embedded debris, without causing irritation to sensitive skin. 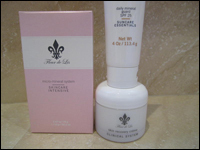 It provides soothing properties while nutrients condition and balance skin tone. Botanical Bio-Peptide crème - An intensive cream supplementing the skin with ingredients, which combat the negative effects of aging and improve the appearance of environmentally-stressed skin. Calendula Crème - This sheer, light-bodied moisturizer delicately imparts emolliency to the skin, shielding it from moisture loss and the effects of environmental stress. Camphor Pore-Minimizing masque - This beneficial masques uses the emollient properties of oat flour to tone the skin while conditioning it with camphor to plump skin with moisture to reduce the appearance of large pores. Daily O2 Optimizing Crème - A super-hydrating, firming and ultra-silky moisturizer which is great for sensitive skin that needs a boost. 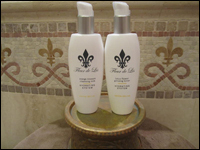 The formula contains an Oxygen accelerator that heightens cell respiration, promoting healthy glowing skin.